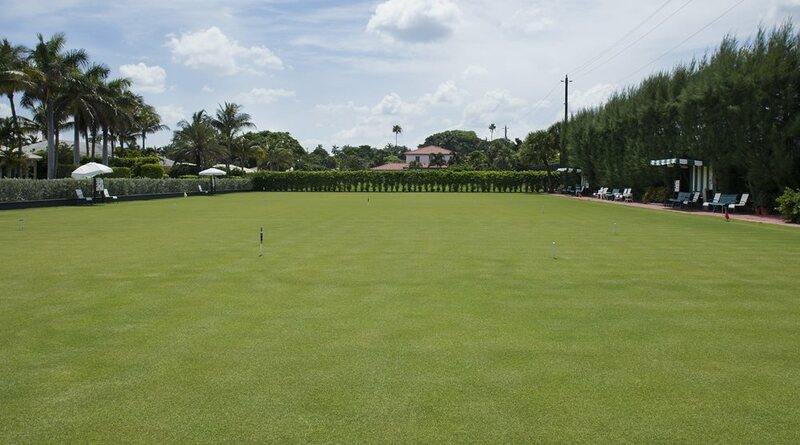 The Beach Club boasts three world-class croquet lawns. Beach Club Championships are held each year, as is intra-club play. Many of our Members participate in The National Championship, Club Teams, and the Senior Master Championship. The Croquet Committee also hosts strictly social events regulary, like the weekly "Hi-Lo" and "Gold Croquet" competition. Situated directly across the street in the tennis and croquet complex is a Pro Shop and restrooms. (winning in all three versions of croquet). He is also the captain of the USA National Team. Danny has developed many training curriculums at numerous clubs, He is one of six National Level Referees and has been Tournament Director and Tournament Manager of numerous National Championships. He has directed many of the top invitational tournament in North America, such as West Hampton NY, The Meadow Club NY, Pinehurst NC, Green Gables NJ, The Merion Cricket Club PA, as well as at The Beach Club FL. Most recently, Danny has been associated with Pinehurst LLC (Pinehurst, NC) and at John’s Island Club (Vero Beach, FL).